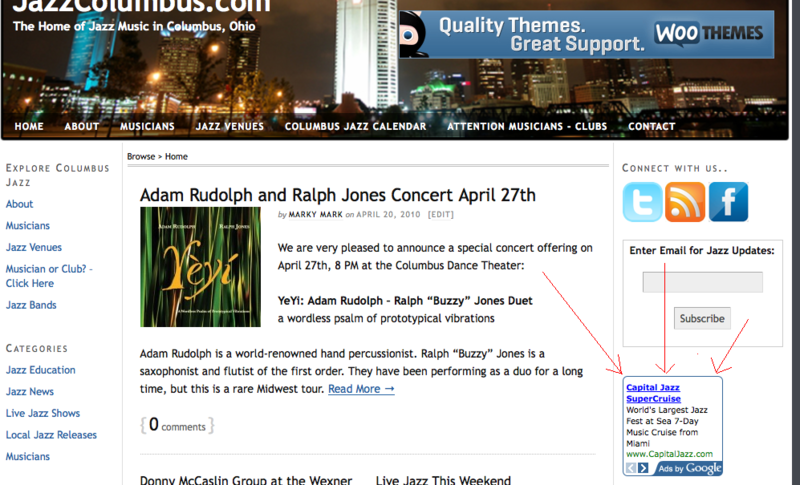 NOTE: JazzColumbus.com does not currently offer standard advertising options. If you are interested in advertising, please contact us for info. 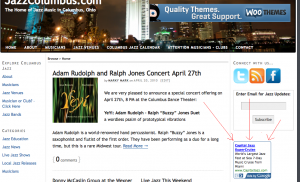 JazzColumbus.com is the definitive site for jazz music in Columbus Ohio. Our readers are loyal jazz fans looking for the best jazz venues and shows on any given week during the year. Now you can advertise your business on this site each month. Please contact us for info and pricing.